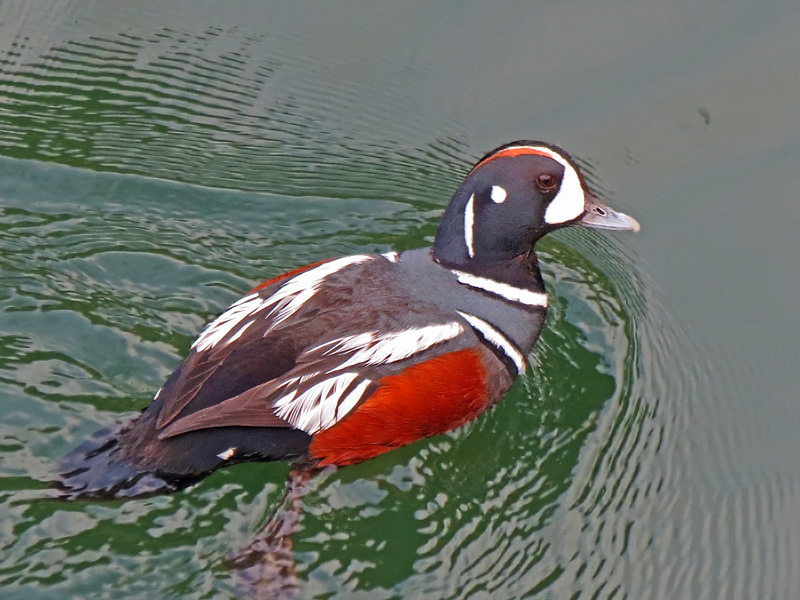 This male Harlequin Duck was photographed at the cruise ship dock in Juneau, Alaska. The female Harlequin Duck was photographed at Lincoln Park Zoo in Chicago, Illinois on 2/16 2012. The male Harlequin Duck is a small slaty duck with chestnut sides and odd white patches and spots. 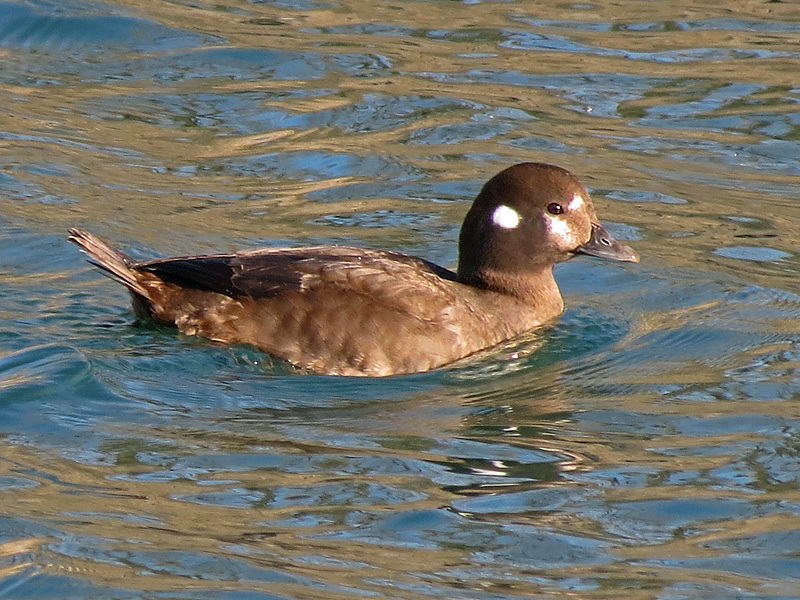 The female Harlequin Duck is a dusky brown with three white spots on the side of its head, and no wing patches. It has a habitat of mountain streams in summer and rocky coastal waters in winter, and favors extremely turbulent streams. Its diet consists of mollusks, crustaceans, plant material, and insects. 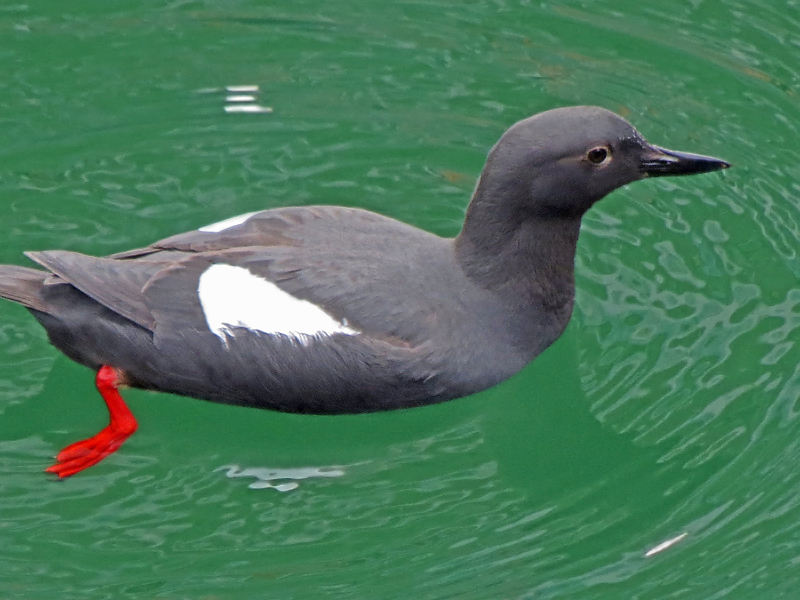 The Atlantic Black Guillemot was photographed at the cruise ship dock in Juneau, Alaska. The Black Guillemot, during the summer, is a small black ducklike bird with a large white shoulder patch, bright red feet, black pointed bill, and orange-red inside of mouth. In winter it is pale with white underparts and a barred back, with black wings having the white patch.. It has a range of the North Atlantic sector of Arctic south to New England, USA. It has a habitat of inshore waters of the ocean rocky shores and islands. They mainly eat fish and crustaceans, some mollusks, insects, and plant material.